Below, KarhuTV brings us an adorable video featuring Juuso the bear creating works of modern art. 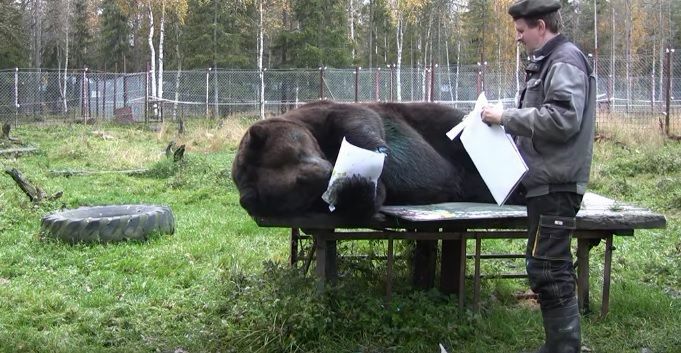 Assisted by his Finnish handlers who apply paint to the canvas, Juuso sets about walking through the paint, rolling around in it and smearing it about his body and face to create the next in a series of bear masterpieces. A collection of three of Juuso’s pieces is featured in the video and is available for sale. For those interested in purchasing this collection, contact information can be found at the end of the video. 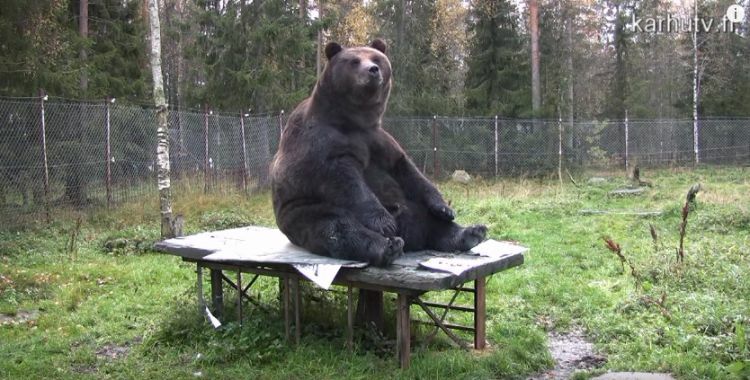 Juuso the brown bear weighs 1,000 pounds, and he was orphaned as a cub. Six of his “pawtraits” have already been sold, with proceeds benefiting a sanctuary that cares for orphaned bears at the Kuusamo Predator Center where Juuso resides. The center also cares for wounded animals and bear cubs that are the victims of auto accidents. Juuso appears to be having a great time creating his unique brand of art, including shaking his fur to create one particular work that bears a striking likeness. His art is pretty abstract, as Juuso’s fur often serves as the brush as he rubs the canvas back and forth across his substantial girth to scratch his artistic itch. Juuso is perhaps Finland’s fastest rising artist, thanks to handlers Sulo Karjalainen and Pasi Jäntti recognizing his unique talent and marketing his creations. Check him out in the video below, and SHARE if you love bear art!